We gathered before dawn on a July morning in the chilly Montana air to be warmly welcomed by the Traditional Circle of Indian Elders and Youth. This was a momentous day – a turning point in the unfolding story of humanity and our relationship to Mother Earth. For the first time, Two Circles – the Traditional Circle and the non-Indigenous Circle – would be joined. Members of dozens of Indigenous Nations had been gathered all week around the sacred fire in the arbor across the creek. They began the joining of the Two Circles by singing across the creek to those of us who had gathered to represent the non-Indigenous Circle. The Traditional Circle then came across the creek to greet us one by one, words of welcome were expressed, and we were led across the creek to sit in the arbor for a day in the council circle. Forty years ago, the American Indian Institute was formed from the vision of Robert Staffanson. He recognized the need to honor and preserve Indigenous wisdom and values, and to foster dialogue between nations and between cultures. At that first gathering, those assembled from Turtle Island reflected upon the healing that needed to take place to strengthen their Nations and to build a strong future for their youth. For 40 years, the Traditional Circle had met as one circle. The elders, recognizing the urgency of our current world situation, determined that the time had come for the Two Circles to work together – for the future of Mother Earth, for the future of all beings, for the future of all humanity. This year, in celebration of their 40th anniversary, they invited the second circle to join them around the fire. Throughout the day, elders from different nations spoke, sharing stories of their traditions, stories of healing, stories of hope for the strength that has been built for their youth and their future. People from many nations, including youth, spoke about the learning and healing that has happened for them in the council gatherings. Women who had traveled as part of a special delegation to South America shared stories of the hope and strength they gathered from meeting with Indigenous women from other continents. 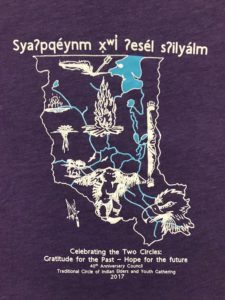 Many times throughout the day, people expressed the urgent need for humanity to return to values that connect us to the web of life – to our relationship with nature, to living with gratitude, to cultivating respectful relationships with all living beings, to opening dialogue between and amongst all peoples. The council circle was a profound living demonstration of coming together in respectful dialogue, with open hearts and open minds, to learn from Indigenous Peoples who have never forgotten how to live in this way. Words cannot do justice to the incredible heart opening experience of being in the presence of so many wisdom-keepers. The Bitterroot Salish, Upper Qlipse and Kootenai peoples of the Flathead Nation hosted this year’s circle, which included honoring Robert Staffanson, who at the age of 93 was present for the joining of the circles. We consider it a great honor that two of us from Sacred Fire Foundation were invited to take part in this historic event alongside the board and staff of the American Indian Institute. 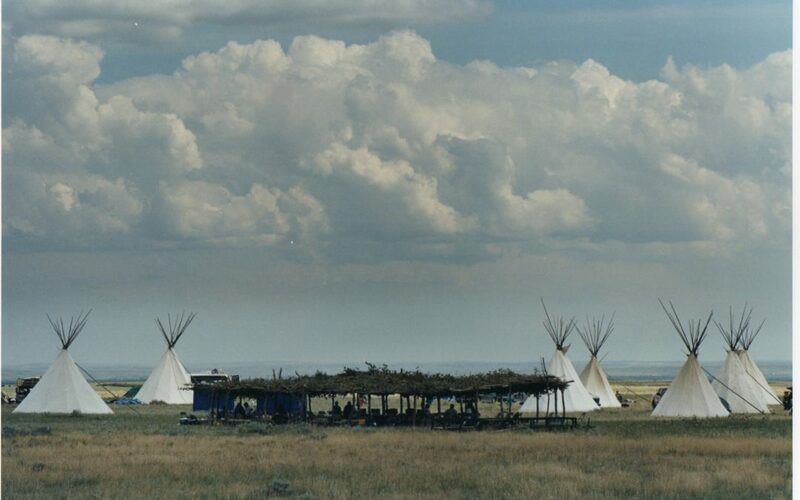 We offer deep gratitude to the Traditional Circle, to the host Nations, to Robert Staffanson, and to the American Indian Institute for this important work. We look forward to continuing the dialogue between the Two Circles as we work to foster the change that is needed in the world at this critical moment in time. As a bonus – we share with you a video that Sofia Arroyo and I took at the National Bison Reserve on the day before the Two Circles gathering and in which Grandfather Bison shared his extraordinary presence with us. May this inspire you to engage in deep listening with the world around you.